After a widely successful return of The Muppets franchise in the 2011 film, our furry friends are back on the silver screen once again in Muppets Most Wanted. This time, the newly-reunited Kermit and friends take us on a thrilling romp around the world, embarking on a global tour to capitalize on their renewed fame. But the gang soon find themselves part of a sinister scheme involving stolen identities, museum heists and even a Russian prison. So how does the Muppets’ latest escapade fare against its predecessor? We share our boos and bravos regarding the sequel, and give our verdict on whether the film was worth watching. We especially enjoyed the ongoing will-they-or-won’t-they relationship between Miss Piggy and Kermit. It’s always hilarious to see the commitment-phobic Kermit dodge Piggy’s countless attempts to illicit a marriage proposal. They’ve always been such as oddball couple, and the fun continues this time round. Thumps up to the truly amazing puppeteers such as Steve Whitmire, Eric Jacobson and Dave Goelz as well. Playing more than 4 characters each is certainly no mean feat. Next up would definitely be the cleverly placed celebrity cameos, something characteristic of all Muppet shows. There’s definitely more cameos than we can count with both fingers, but we especially like that celebrities were selected based on their nationality. The ever-talented Austrian-German actor Christoph Waltz appears in the Muppet show performance in Berlin, performing a waltz no less. Irish-born Saoirse Ronan can also be spotted in a ballet sequence of the show in Ireland. What really got us off our seats was Tom Hiddleston’s blink-and-you’ll-miss-it Houdini act as he tries and fails miserably to escape the Russian prison. Unfortunately, the sequel fails to live up the success of the first movie, despite the inclusion of comedy heavy-weights such as Ricky Gervais, Tina Fey, and Ty Burrel. Though they hold their own in each of their respective roles, there was disappointingly minimal interaction between their characters. It would have been nice to see them playing off one another given their talent. They also lacked the spontaneity and endearing nature of Jason Segal and Amy Adams in the first film, both of whom shared a solid chemistry and rapport with the Muppets from the start. 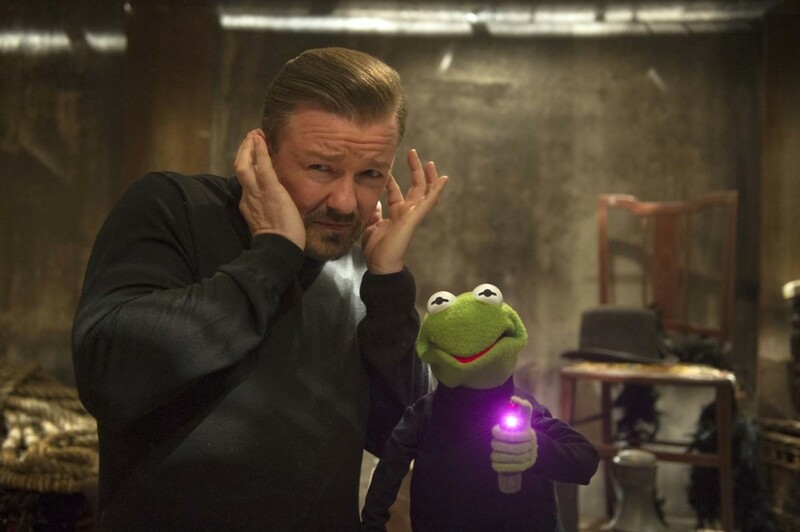 Alas, the songs were somewhat forgettable as well, such as an awkward and uninspired duet between Gervais and Kermit’s evil doppelganger Constantine. We’re pretty sure these tunes won’t be stuck in your head on your way out of the cinema. Could the line in the first song “and everybody knows the sequel’s never quite as good” have become a self-fulfilling prophecy for the film? Finally, the presence of a glaring plot hole undoubtedly puzzled most audiences. Yes, we know it’s a movie and plot holes are forgivable and even expected. 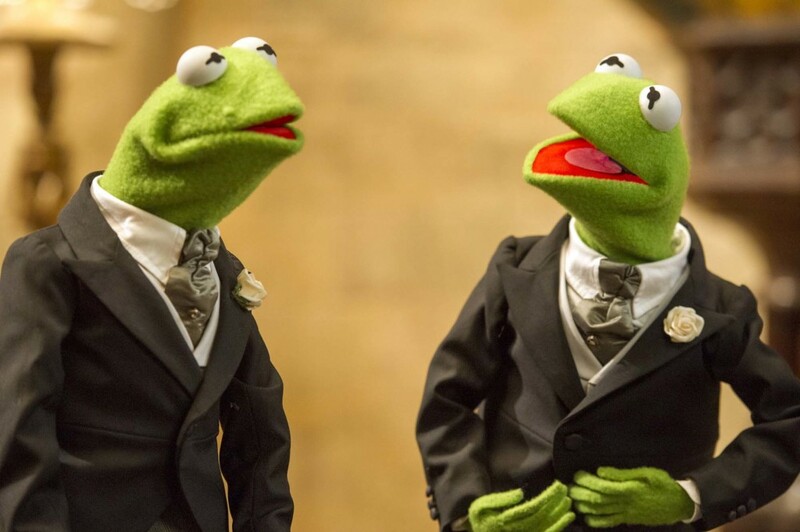 But did the Muppets really not recognize that Kermit was replaced with another frog (albeit an identical one) who speaks in a completely different accent? Sadly, Kermit’s imprisonment resulted in him being side-lined in the film, with the prison scenes forming the bulk of his appearance. Despite its flaws, the movie does manage to keep you entertained throughout, especially with its postcard worthy locales and numerous jokes that both kids and adults will understand. Perhaps the Muppets didn’t quite find the rainbow connection this time round. Still, we can’t quite say no to these adorable critters who have stuck around for such a long time.